Would you like to become a great (not good) singer? Do you want to be able to better communicate from your heart? Are you having technical issues – trouble hitting pitches or staying on pitch? Are you ready for gigs, auditions, and showcases? Named one of the Top Vocal Coaches in Backstage Magazine, (also a Backstage 2014 Reader’s Choice Finalist), America’s vocal coach and club hit recording artist, Teri Danz, can take you to the next level and beyond. She trains beginners to artists from years of recording and performing experience working with top talent, producers, and musicians. Danz is an expert in pop technique, and her book, “Vocal Essentials for the Pop Singer: Take Your Singing for Good to Great” (Hal Leonard) has a 5 star rating on Amazon! All great singers have experienced vocal coaches. Give yourself and your talent a chance! Need help with breath control, stamina, range or tone? 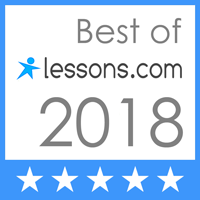 You will get a solid technique, improve tone and resonance, build your confidence and skills, and benefit from performance coaching – whether you’re just starting out or an established artist. Sign up now for lessons/coaching with America’s vocal coach and club hit recording artist, Teri Danz! For serious singers, singer/songwriters and artists, would you like to be a great (not just good) singer? Are you ready when you get the call for auditions, performances? Do you feel your vocals could be better or you could sound fuller or more resonant? Are you having difficulties with breathing, stamina, or vocal control? Do you need help in the studio or in pre-production? Now is a perfect time to get started! For speakers (business and public), can you command the podium with power and confidence? Do you feel your voice resonates with your audience? Learn tools that professionals know and use to move their audience. For rappers, are you happy with your tone? Is your breathing and stamina in control? For parents of teens and pre-teens, does your child love to sing and perform? Do you think they have a vocal talent to develop? If so, start them off right – in a professional, safe and supportive environment. For just-love-to-sing students, learn how to sound like a pro! Impress friends and have fun, too! Improve breath control, manage your range, learn vocal placement and technique, and to maintain vocal health, learn performance or studio technique and more. Call Teri at YouWorld Music & Entertainment 310-283-9688 or email vocalcoach@teridanz.com. PLEASE include a current phone # and best time to reach you. All rock & pop styles. SKYPE Lessons and gift certificates available! Beginners to artists. Vocal Producing is also available. Teri Danz featured in Voyage LA Article, Feature Article and Profile in Voyage LA Magazine.Thanks to Kris Williams and his staff! Teri Danz is a recording artist (club hit), America’s vocal coach and vocal producer. Named one of the Top Vocal Coaches by Backstage Magazine (2015), she combines her love and passion for singing with a desire to give others the tools and techniques they need to sing (and speak) with ease, confidence and mastery. Her diverse, professional experience, including years of performing and recording, gives her a unique real world perspective in which to assist others in pursuing their creative path and taking it to the next level and beyond. As a vocal coach, she specializes in pop vocal technique, performance coaching and vocal producing; with a focus on vocal resonance and technique, range, and presentation. As a mentor, she knows what it takes to be a professional and manage the creative and industry side of the music business. In addition, Danz has extensive studio recording experience both as a singer and coach, and has a Bachelor’s degree in Speech Communications/Pathology and a Master’s in Education from the State University of New York at Buffalo. 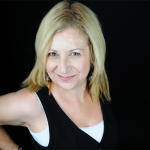 Over the years, her clients/students include: artists (signed and indie), musicians, speakers, television personalities, actors, and comedians – notably Jared Lee (Chrysalis), Melissa Disney (voice of Disney’s Snow White and voiceover artist), Adam Bones (Merrifield Records), and many others. A published writer and author, her book “Vocal Essentials For The Pop Singer: Take Your Singing from Good to Great”, published by Hal Leonard Corporation and released in 2011, is the go-to primer for singers. 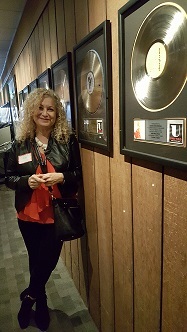 Her published articles have appeared in Electronic Musician, Music Connection Magazine, EQ Magazine, LA.com, Roland and Boss Users Group Magazines, Guitar Player, and many more. Danz started singing and performing professionally in San Francisco, where, in 1991, she had the club hit, “Didn’t Mean To Fall In Love” on Twilight Records. A classically trained musician, Danz studied with renowned vocal coach Raz Kennedy (of Bobby McFerrin’s VOICESTRA, and coach to Adam Duritz of Counting Crows) and many others. Her credits include a 12″ dance/club hit; rock/pop songs in Indie films; Tower records in-stores; recordings with: Buddy Halligan (Barry White, Ray Charles, Anita Baker), legendary rapper, Father MC, and Gerry “The Gov” Brown (Alicia Keyes, Tina Turner); and many others. She received a nomination for Best Female Vocalist of the Year, All Access Music Awards 2005. Danz & TDB guitarist, Tim Weber, played the Mackie Booth at NAMM 2007 and the Sennheiser Booth in 2005. She received national press in Women Who Rock Magazine. Her act has PRO Endorsements by Sennheiser and Graph Tech. Danz is also a professional writer and journalist. 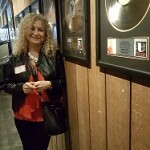 She has written articles for Music Connection Magazine, Guitar Player, EQ Magazine, Electronic Musician, Roland and Boss Users Group Magazines, Digitrends, and many more. Her book, Vocal Essentials for the Pop Singer: Take Your Singing from Good to Great” is a primer for singers. New! Teri Danz quoted in Engadget Article on vocals.